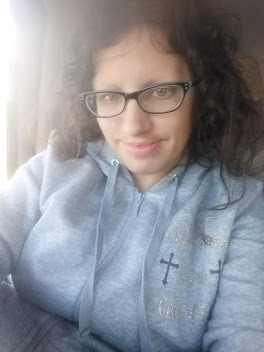 *Disclaimer - I received the products in this post from Zoey's Personalized Gifts in order to facilitate this review for my readers. I absolutely love to work with Zoey's Personalized Gifts throughout the year for my kids, and these are some awesome shirts that we received for review. My laptop has been giving me fits over the past month in a half or so with uploading pictures directly from my computer, so I wasn't able to add the picture of my son's adorable shirt for first grade to this post, but the 1st Grade Rules t-shirt he received is a fun one for kids to get! He got it in a size 10 and the price of it is only $20! It has a ruler on it with his name below it. He absolutely loves wearing it everywhere, especially school. 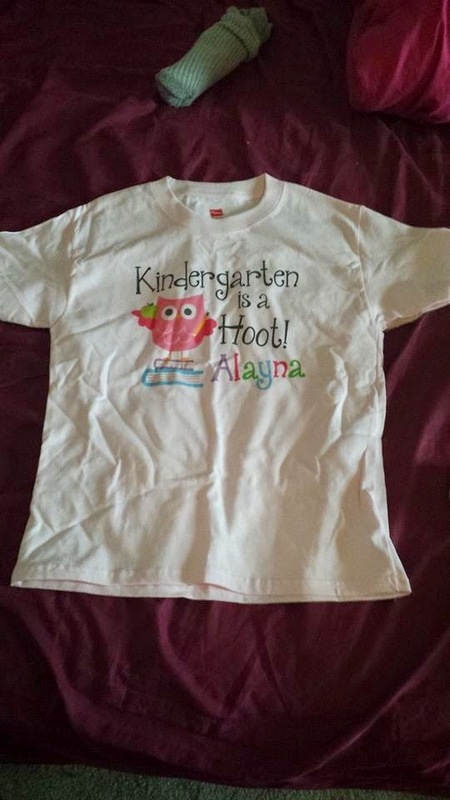 This shirt is made of a very soft material and is easy to wash.
My daughter received the Kindergarten is a Hoot t-shirt for her to wear to school and it's in a size youth small which is for 6-8, and it fits her perfectly. The price of this adorable shirt is only $16.50 on their website. The material that this shirt is made of is very soft and easy to wash. This shirt has a pink owl holding a green apple on it. I love owls and knew my daughter would enjoy this one to add to her t shirt collection.